NEW! TaliasVan announces the "Actors-and-Actresses-That-Need-To-Be-Seen Network." Click here to read the article. For his entire adult life, TaliasVan has been dedicated to making the world as it should be — where every man, woman, and child has food, clothing, a home, and not just subsistence-level work, but the tools and assistance to cultivate their unique gifts, talents, and dreams. He believes there is a vital link between the human need for positive, creative self-expression and the forming of a balanced, sustainable, and evolving culture. TaliasVan has been singing and making music since he was boy. He spent years actively performing in Pittsburgh's nightclub-scene before experiencing a spiritual awakening at age 24. Since then, he has fused his spiritual walk with his musical talents to create some of the planet's best higher-consciousness music. He writes songs from his own soul experience, expressing the agony and ecstasy of life. He touches and inspires the hearts and minds of his listeners, giving them hope in the midst of the day-to-day struggles of life. CosmoPop® is spiritual vocal music that addresses the sufferings of our times and gives hope for a better world to come.™ It is TaliasVan's unique form of Global Change Music, which he plays with the 12-piece Bright & Morning Star Band. The members of his band are professional, and his two female background singers complement him with his multi-dimensional original melodies. As spiritual vocal music, CosmoPop® incorporates lyrics, mantra, sacred dance, using rock, jazz, Celtic, folk, and world music, a truly interuniversal and interdimensional experience. The beating heart of CosmoPop® Music is TaliasVan's voice and guitar. His stylized vocals express the height and depth of emotional experience, while his lyrics reveal the poetry and wisdom of one who has lived lifetimes. His soul-prose expresses a spiritual sound that is visionary and hip, yet real and down to earth. TaliasVan believes that spiritual music does not have to be rote, churchy, or square and that a spiritual person can still be hip. 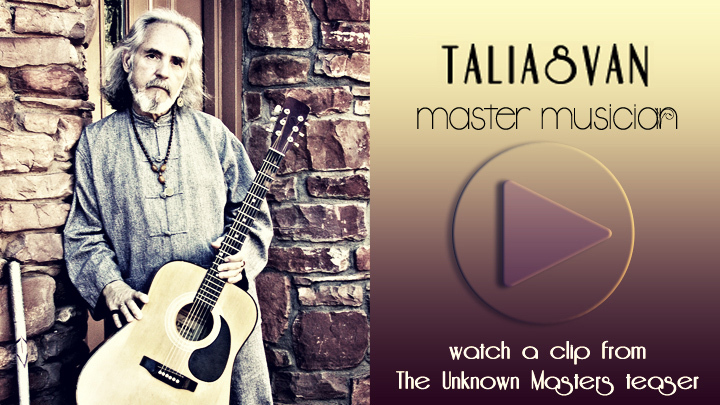 TaliasVan is one of the most unique and distinct spiritual leaders and authors of our time. His work provides wisdom, cosmic absolutes, and answers to the questions of the seeking soul. 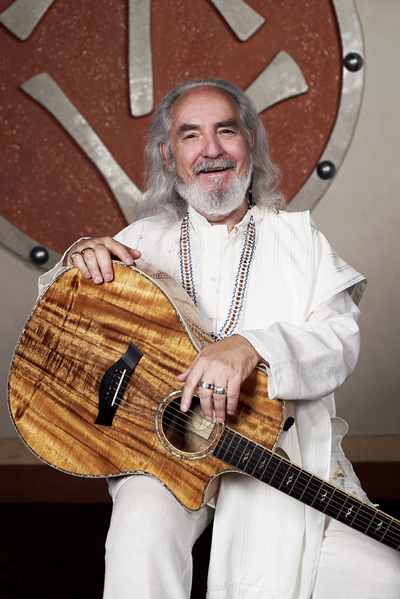 TaliasVan is the founder of the Spiritualution — Justice to the People℠ movement through which he takes action against the numerous injustices marginalized peoples face today.